Julien Harcourt, Duc de Valère, still searches for his brothers in France, raising suspicion of British Secret Service. Duke Northrop orders governess Sarah Smith, surname for her orphan status, to pose as Seraphina, the Duc's intended, and prove Julien a traitor working for Napoleon. Sara disagrees and follows Julien from London ballrooms to Paris dungeons. Plus preview. Julien, at age thirteen, was changed forever when french revolutionaries and peasants stormed his family’s home, killed his brothers and father, and with his mother along his side, barely escaping with their very lives. Now in England, Julien has rebuilt his family’s fortune and wealth, enough to make sure his mother is taken care of the rest of her life. But there is another reason, he believes that at least one of his brothers, Armand, is still alive and being held somewhere in France, and he must find a way to get there, even with a war going on. In the midst of making his plans, a family friend of her mothers has sent her daughter to be courted by Julien and even to have him marry her. Julien, doesn’t have much belief or faith in love, even though his parents deeply cared for each other. But out of respect for his mother, he agrees, only Lady Serafina is not what he ever expected. Sarah Smith, has been enlisted, not by her own choice, to be a spy within three days. She is told she must find as much information on the Duc de Valere as possible since he is suspected of being a traitor and a spy due to his recent visits to France. However, she never thought Julien would be so irresistible or this task would be more challenging than she ever imagined. Because she is starting to fall in love with this man, suspected traitor, but one who she feels herself losing her heart to. Julien, was very young when he lost his younger brothers and his father, and his own home. He and his parents knew it was dangerous, but they treated their servants fair, but in the end they turned on him and his family. Having to travel to England, Julien had to rebuild everything, and now that he has, he has a new duty…find one of his brothers that may have survived. He knows he must get to France soon, but he also has another problem….a young woman he is suppose to marry …who doesn’t necessarily want to be courted. Julien finds her endearing but he suspects that she is hiding something…and he must get to the bottom of it. Sara, is a orphan, dropped on the porch of a establishment, and has no family to call her own. Sara has never felt wanted or needed. She is now a respectable governess, but while on a job, tutoring children, she is brought into the Foreign Office employment. Her boss, has instructed her that she must become a spy in three days or be thrown out into the street with no reference and no where to go. Sara knows she has no choice, but hates that she will have to become someone else. 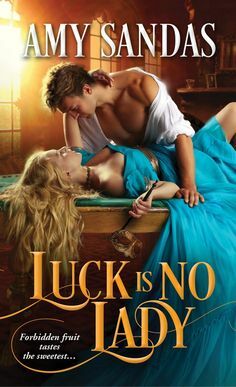 As she finds herself being courted by Julien Harcourt, she finds him breathtaking, and has no idea how she is suppose to prove his guilt as a traitor; when she doesn’t even believe him to be one. But she is determined to get to the heart of the matter, before she does something foolish as fall in love with a man so above her it could be funny. Julien woke suddenly, his eyes wide and focused on the ceiling above his bed.